From the smallest to the biggest model – the EXPERT and EXPERT POWER petrol lawnmowers are convincing examples of quality, efficiency and durability. Equipped with powerful engines and many convenient features, they are ideal for anyone wanting to become a lawn expert. Innovative modules, ergonomic design, high-quality materials and extraordinary craftsmanship »Made in Germany« – these are the unique ingredients that make each multi-star® device a durable and long-lasting tool. WOLF-Garten underpins this promise with a 35-year guarantee on every multi-star® device from model year 2018 onwards. Thanks to the induction-hardened boron steel blade and stiffening grooves, the spades effortlessly penetrate the ground without the risk of bending anything. The ergonomic handle itself has a non-slip rubber coating and is comfortable and safe to hold. WOLF-Garten is adding a particularly flexible model to its pruning shears: PowerCut® RS 800 V. »V« stands for »Vario« – and variable like the two different types of cuts: Speed and Power. 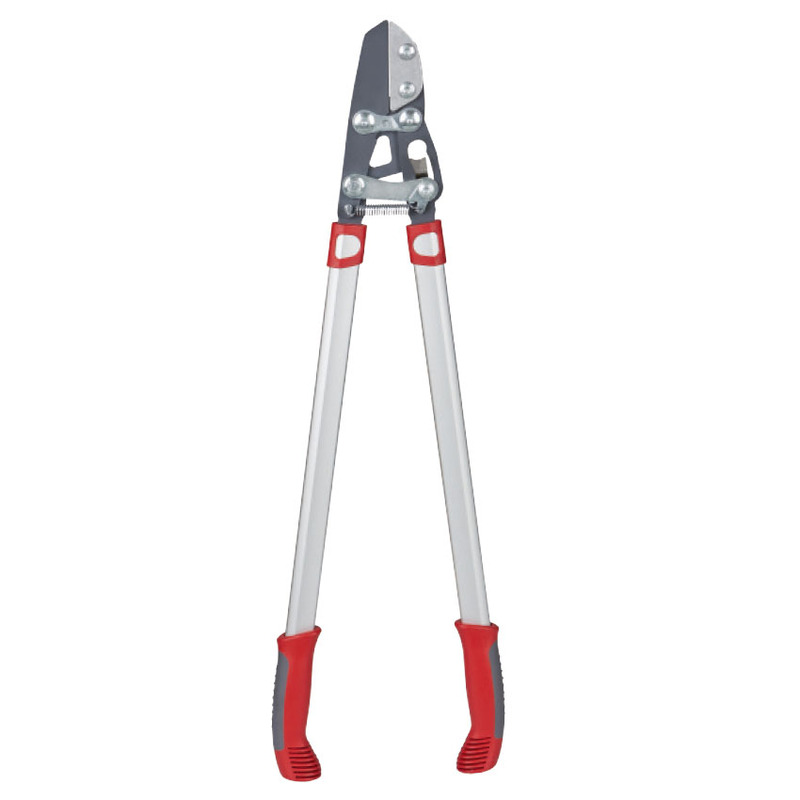 With the speed setting, branches can be cut off quickly thanks to the small spread angle. In power mode, you can even cut through branches up to 50 mm easily. WOLF-Garten is expanding its range of mowing robots for the coming season: with the Loopo S500. The new top model of the S series offers a maximum area output of 500 m2, making it the perfect choice for families with a larger garden. The success of our ecological, sustainable »Natura Bio« garden care products continues. The range launched last year with 6 specialty fertilizers is being expanded by two new variants – a shrubs and hedges fertilizer and a rhododendron fertilizer. WOLF-Garten. Jakość wykonana w Niemczech. Od 1922 r.
Od początku swojej działalności WOLF-Garten charakteryzuje się innowacyjnymi rozwiązaniami produktowymi. Jednocześnie łączy się najwyższa jakość z pasją i zamiłowaniem do szczegółów w produkcji, które zawsze są na pierwszym planie.